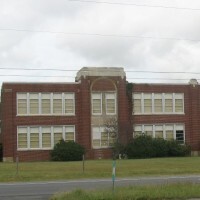 Central High School was constructed in two phases between 1932 and 1935 by the father and son team of J.W. Hudson and J.W. Hudson, Jr. Both phases of the building are Art Deco in design and are built to blend visually and functionally as one building. The Art Deco style was common for American schools in the 1930s. The primary building is of brick masonry construction with stone details at its main entrances. The building is two stories in height and is an imposing structure just off of the state highway between the towns of Painter and Keller. There are three contributing outbuildings which served as extra classroom space, a vocational school, and a home economics classroom. 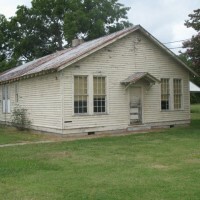 Central served as the first consolidated high school for the county from its construction in 1932 until it became a middle school in 1984, representing a vital part of the community and its education for much of the twentieth century. It retains a strong level of historic and architectural integrity and was found significant under Criterion C (Architecture) as an excellent example of large scale Art Deco design and a rare example of the Art Deco style on the Eastern Shore. Its historic outbuildings and intact site also support the argument for a high level of architectural integrity.